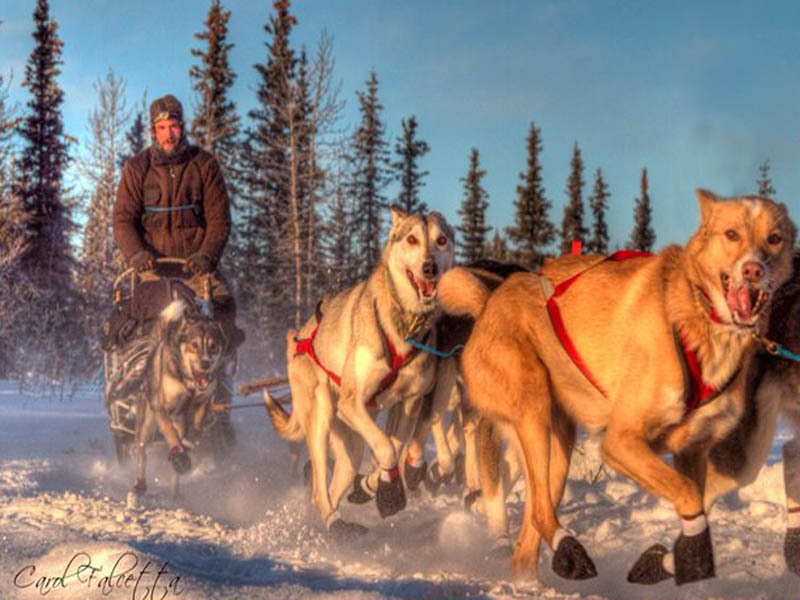 When asked in the beginning, we always said that we were never going to race, that just being out there exploring with the dogs is what it is all about. A few years later, it is still all about being out on the trail and spending time with the dogs. However, racing has added a little more of a challenge to the experience. It has allowed us to push ourselves and our team in ways that we never thought we were capable of, but we are! 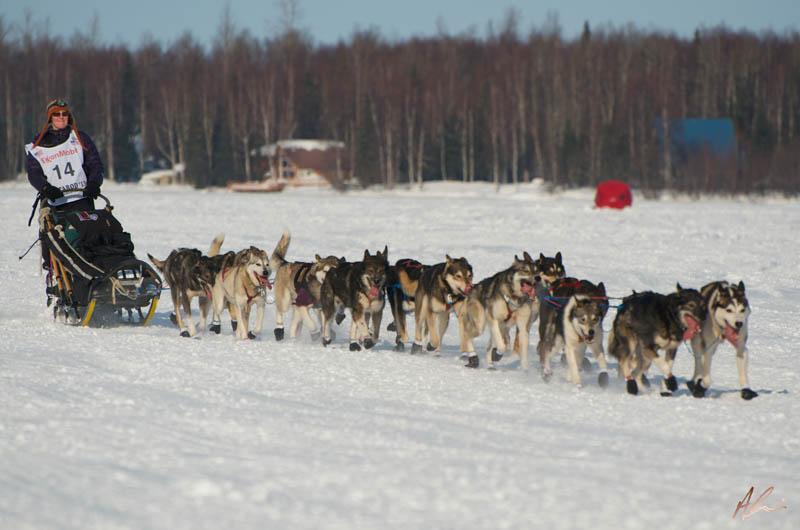 Races allow us to set goals and then focus on the dogs to reach these goals. This has changed our lives to be even more centered on the dogs. 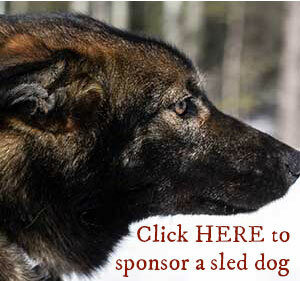 The dogs cannot compete at this level without 24/7 attention and this in turn, enriches all of our lives. 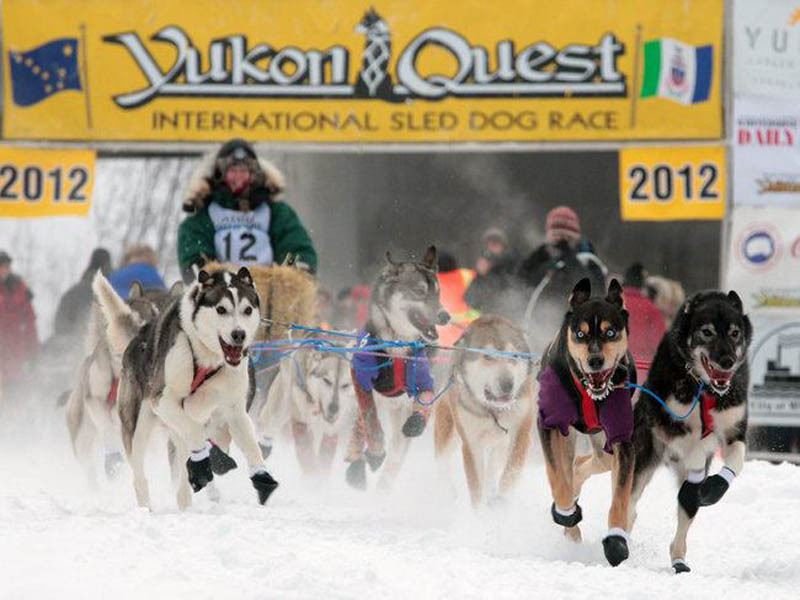 The past few years we have been entering as many races as possible, with some amazing runs in races such as the Solstice 100, Gin Gin 200, Two Rivers 200, Copper Basin 300, Yukon Quest 300, Yukon Quest 1000 and the Iditarod. 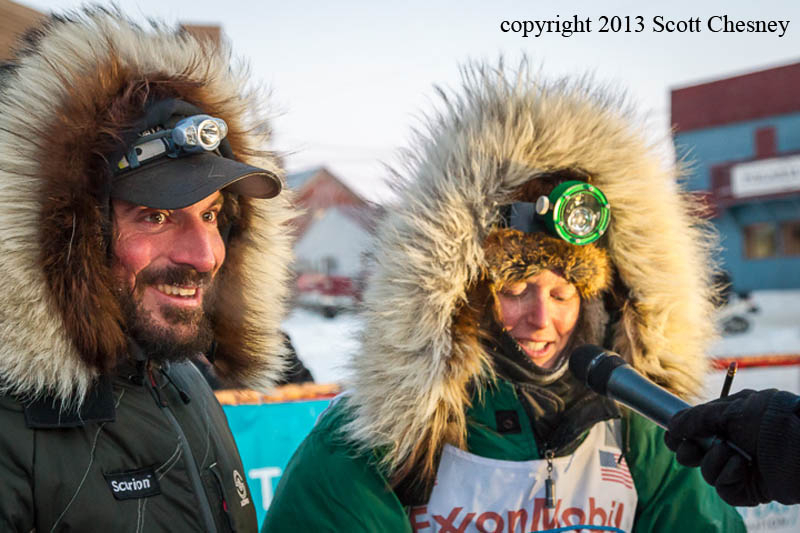 The 2017 race season was a great season, with Paige getting 4th place in the Yukon Quest and Cody finishing 30th in Iditarod with the team’s fastest 1000 mile finish. Paige finished 2nd and Cody 5th in the 2017 Copper Basin 300. 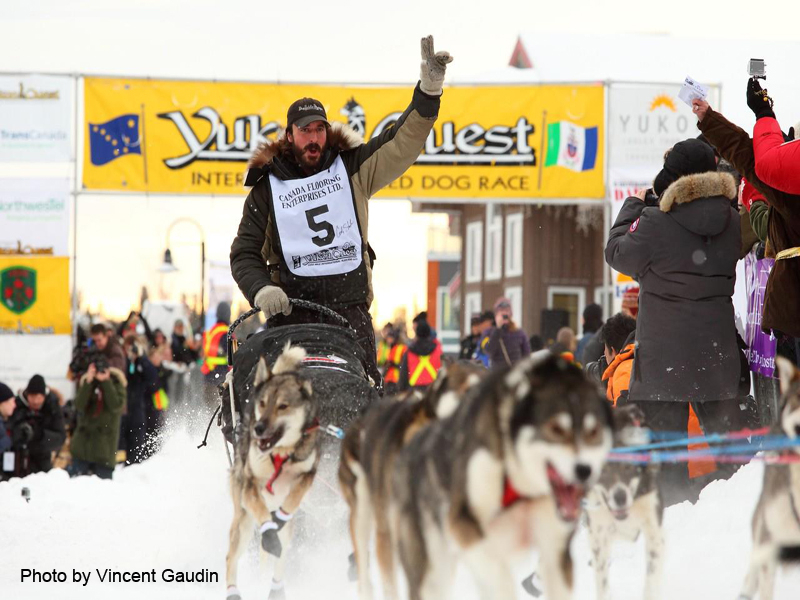 Paige also received the Vet’s Choice Award in both the 2017 Yukon Quest and 2017 Copper Basin 300. 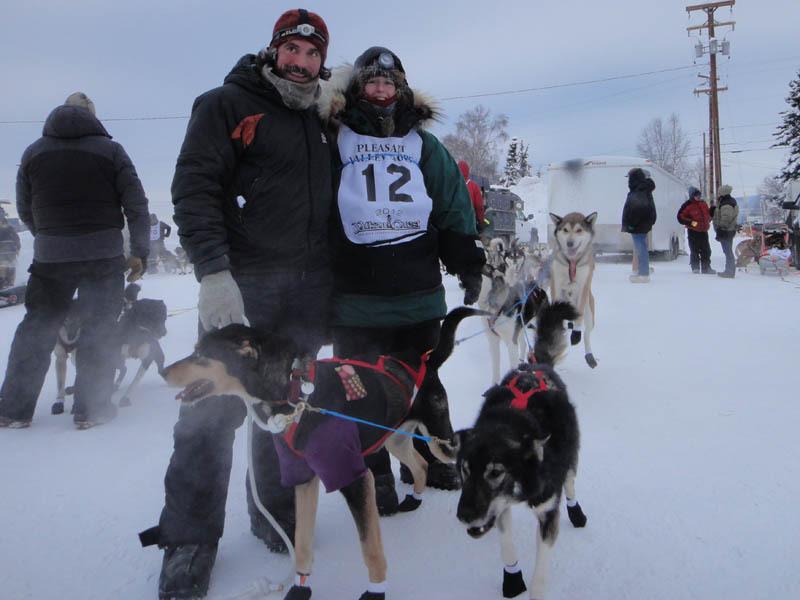 Past awards included, Paige winning the sportsmanship award in the 2012 Yukon Quest and Cody receiving the vet’s choice award in the 2013 Copper Basin 300. In 2016, Cody and Paige became the first married couple to both complete both 1000 mile races in the same season. Please follow along to see how the season progresses. 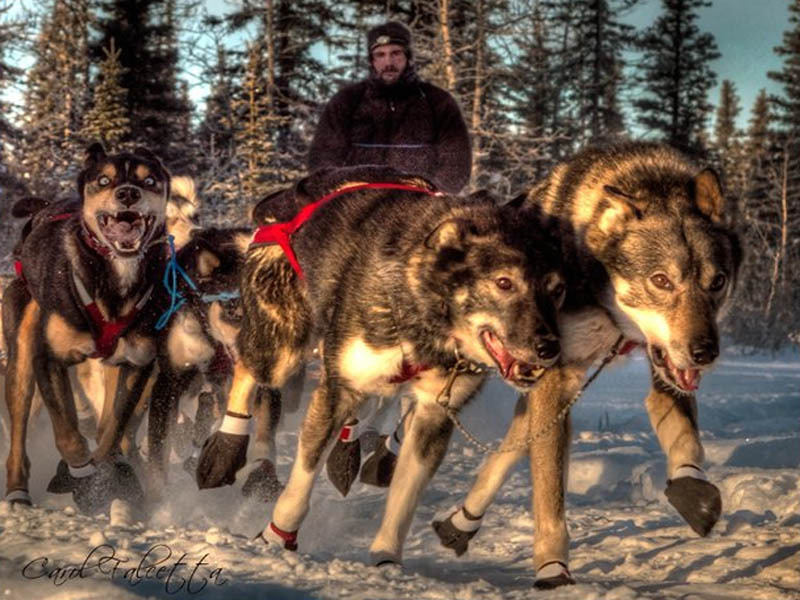 The best way to follow races while they are happening is on our Facebook page where the handler will update as much as possible with photos and videos from checkpoints. 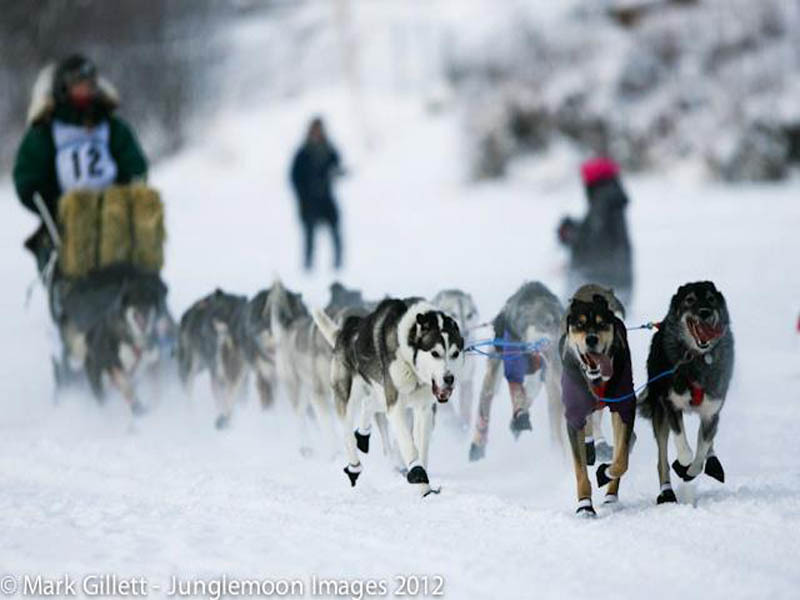 Below are slideshows from recent races. 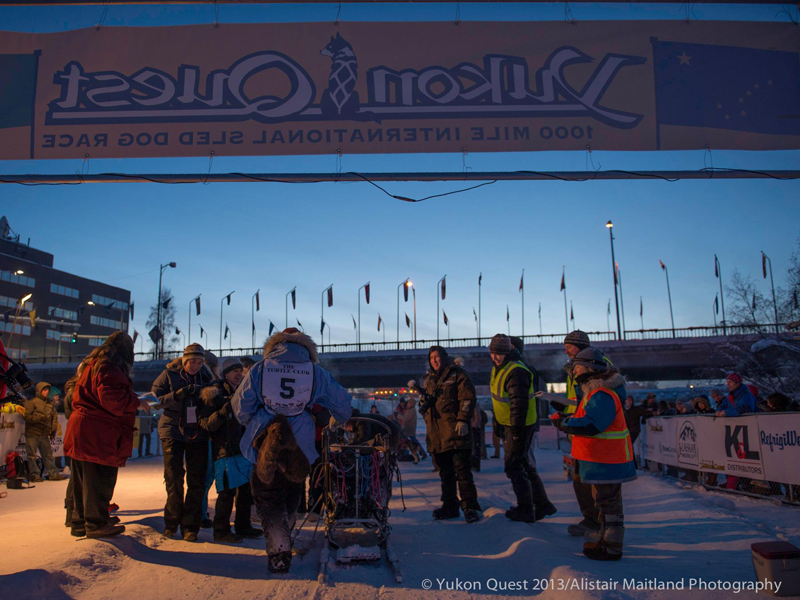 2017 Iditarod (Cody) – 30th, 9 days, 14 hours, 29 minutes = fastest 1000 mile finish for Team Squid! 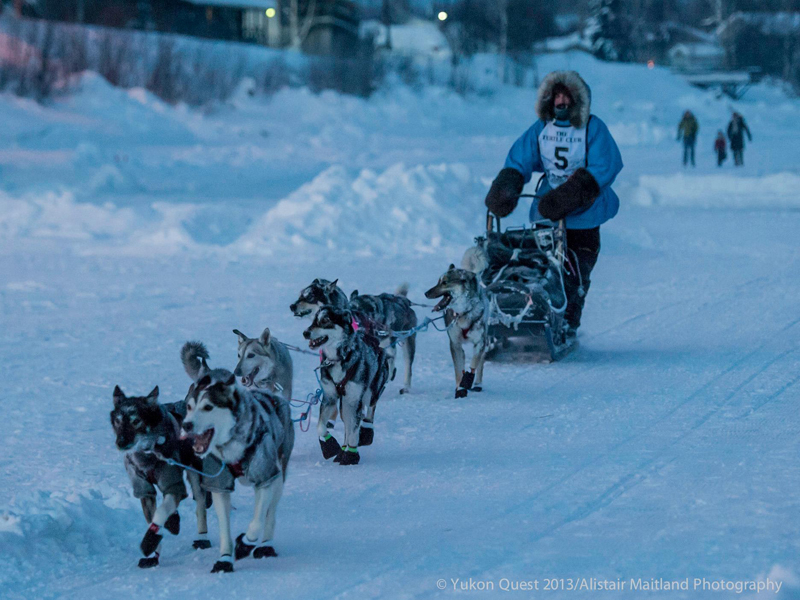 2017 Yukon Quest (Paige) – 4th and Veterinarians Choice Award, 10 days, 16 hours, 22 minutes. 2016 First married couple to complete both 1000 mile races in the same season. 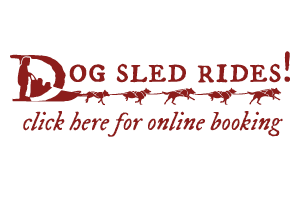 2016 Iditarod (Cody) – 42nd, 10 days, 15 hours, 53 minutes. (Paige) – 43rd, 10 days, 15 hours, 54 min. 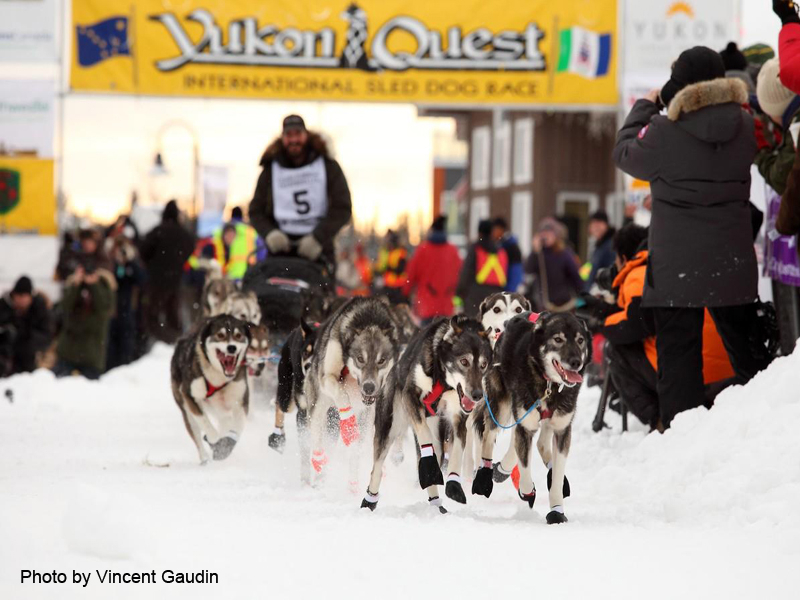 2016 Yukon Quest (Paige) – 14th, 11 days, 15 hours, 24 minutes, (Cody) – 15th, 11 days, 14 hours, 58 min. 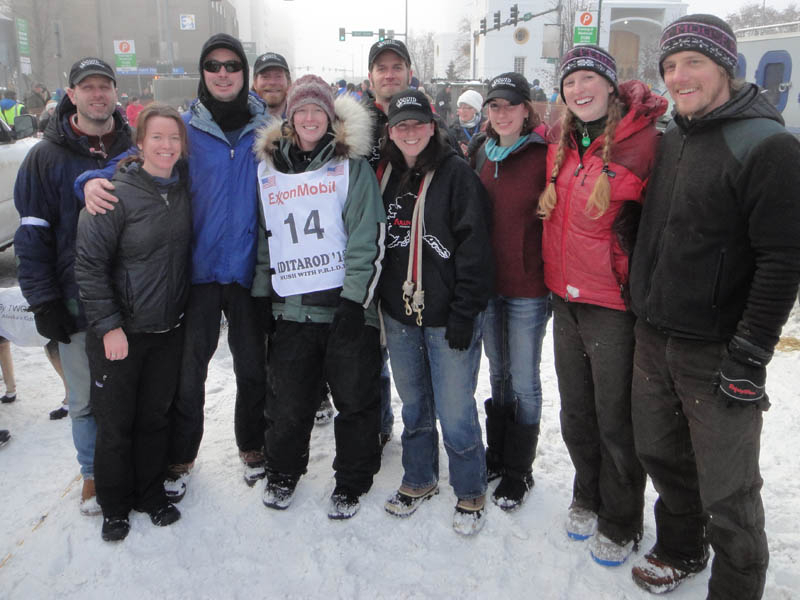 2015 Copper Basin 300 (Paige) – 9th, (Cody) – 10th. See photo album. 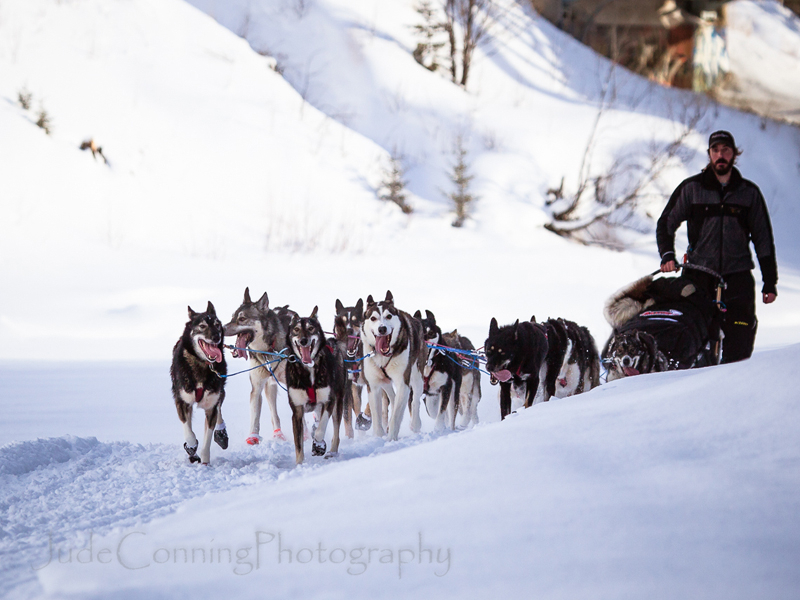 2015 Gin Gin 200 (Paige) – 5th, (Cody) – 7th. See photo album. 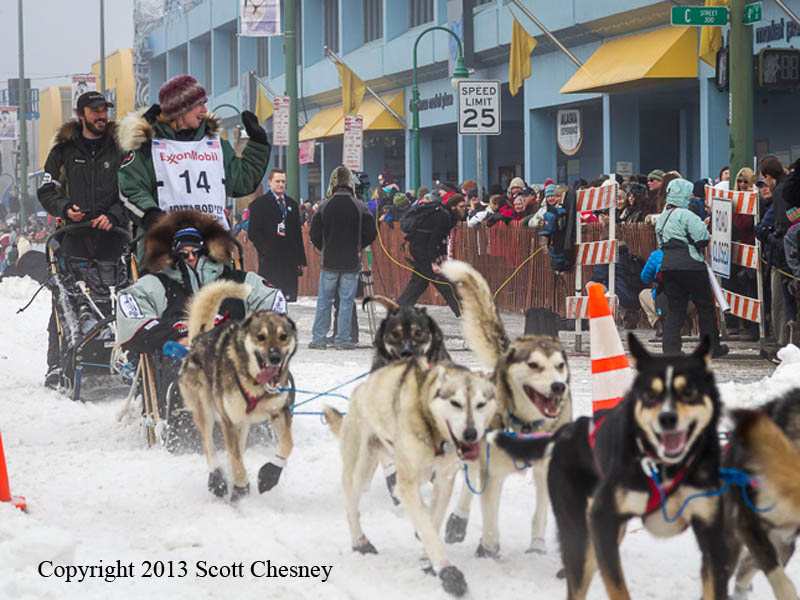 2013 Copper Basin 300 (Cody) – 9th and Vet’s Choice Award! 2013 Top of the World 350 (Paige) – 15th (Cody) – 16th.